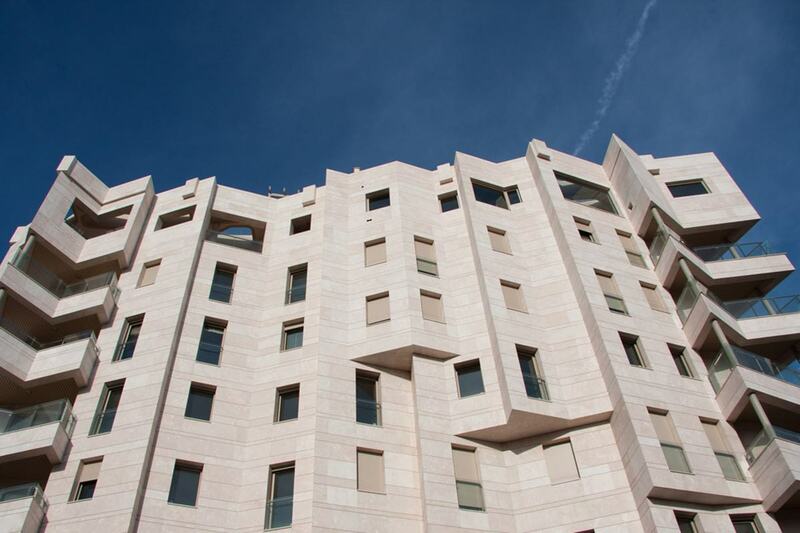 A ventilated façade in natural stone brings great advantages to the building and provides tangible added value. 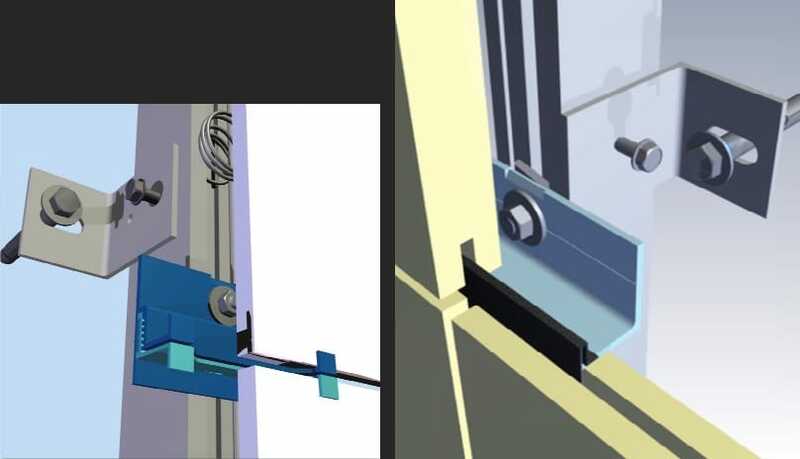 This system offers a complete answer to all the requirements that a façade must meet, both technically and aesthetically, and represents significant energy savings for homes. TINO’s ventilated façade in natural stone system optimizes the requirements of a building’s façade: it ensures the strength and stability of the stone slabs and guarantees the flatness of the outer stone sheet. Waterproofing is also ensured by the combination of the ventilated air chamber and the insulating material inside the skin. The energy savings of a ventilated façade in natural stone are between 20% and 30% thanks to the “chimney effect“. 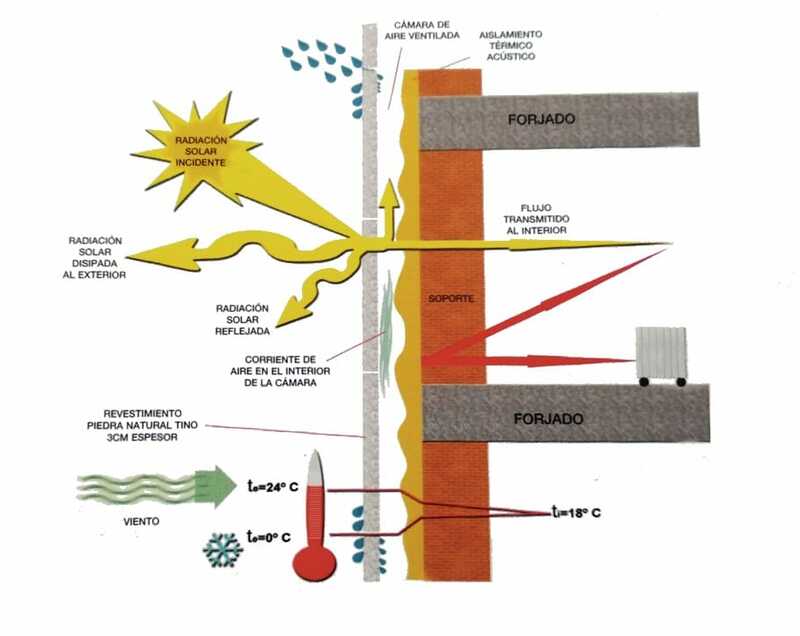 This is a phenomenon that occurs when the sun shines directly on the stone slabbing and not on the building. This causes the air in the chamber to heat up, which, by decreasing in density, generates an upward flow of air, allowing the introduction of fresh air. The chimney effect, therefore, prevents building-up heat on the façade and, together with the thermal insulation, promotes the thermal stability of the system. This chimney effect combined with the thermal-acoustic insulation promotes an improvement in the habitability of the building and a better acoustic performance. TINO Natural Stone offers an integral service of ventilated façade in natural stone that goes from the study of the project to its execution. 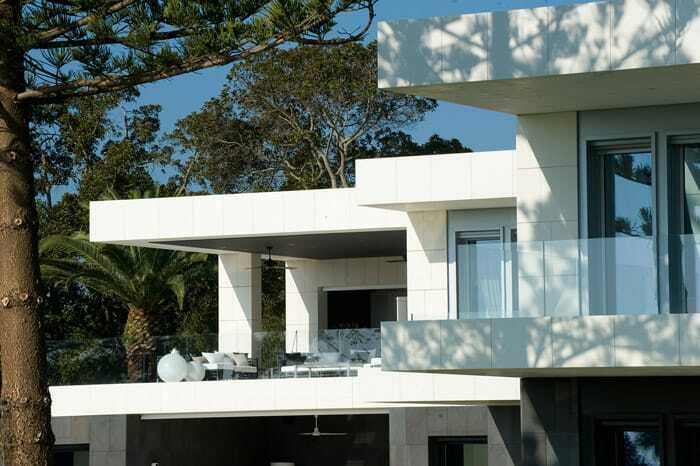 In this phase the plans are received, the study is carried out and the most suitable solution is proposed (the type of stone, modulation, anchoring systems…). 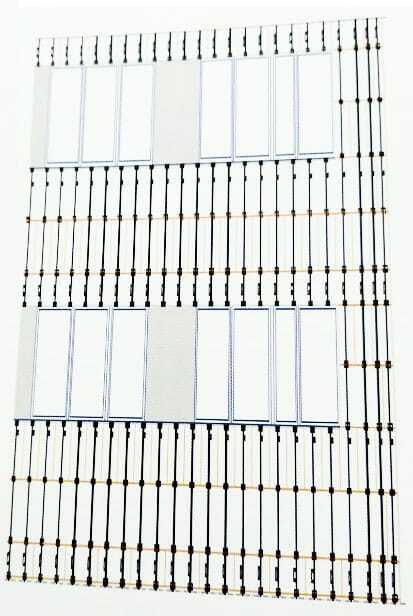 The theoretical plan of execution of the façade is also carried out. The measurement and stakeout are then carried out on site. 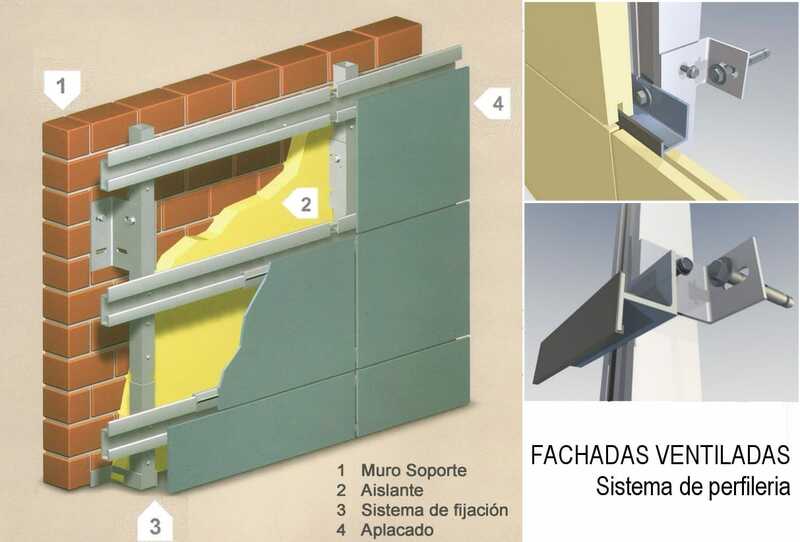 The actual measurement that configures the execution plane of each façade is established. The next step is to install vertical aluminum uprights or anchor fixing points. In this way, the supporting structure on which the stone slabs will be fixed is built. This structure transmits the gravitational loads to the concrete structure and/or to the building envelope to also absorb the thrust and suction forces of the wind. The insulating material is then applied. It can be projected polyurethane, extruded polystyrene, rock wool or any other solution on the market. 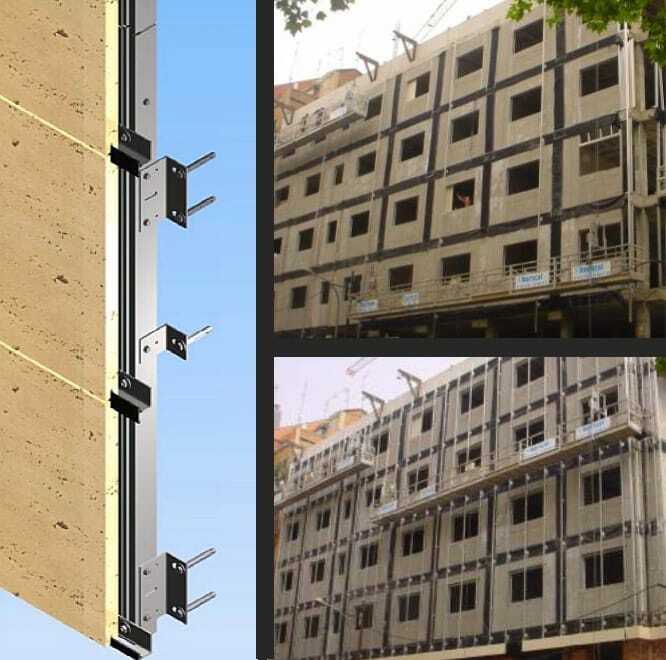 This material isolates the support providing waterproofing, thermal and acoustic insulation. In the case of having an aluminum structure, they are assembled by means of horizontal staples that are fixed to the structure of vertical aluminum uprights. These in turn anchor the stone by means of horizontal grooves on the upper and lower edges of the stone. In the case of anchor fixing points, holes are drilled in the edge of the stone, into which the anchor bolt is inserted with resin. The aluminum structure provides the base for the enclosure of holes on which the carpentry will be placed. In this phase, the jambs and lintels are also placed (if the project includes them). The façade is then finished. The building is ready and has a brand new ventilated façade in natural stone. If you want to read more about natural stone, check out our previous post “Natural stone walls (interiors)“. 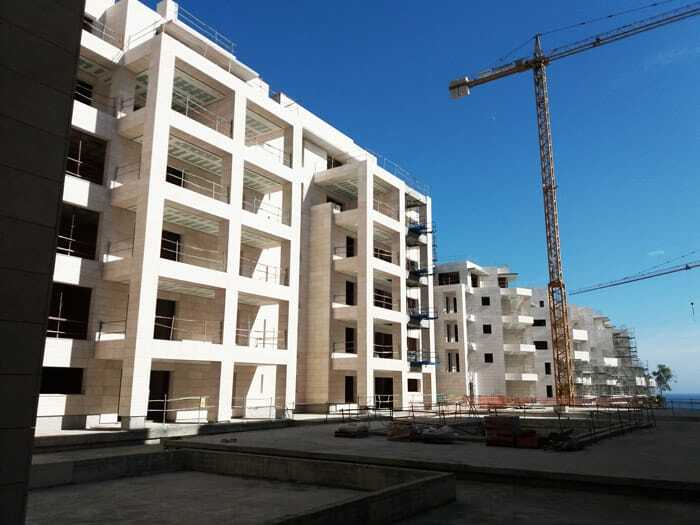 If you are planning to include a ventilated natural stone facade in your project click here to contact us.